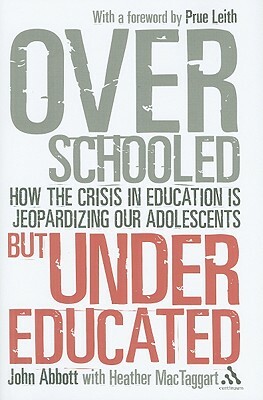 Based on the premise that education has to be about much more than intellectual development, this book calls for the transformation of the education system. John Abbott is president of the 21st Century Learning Initiative, a transnational association of educational researchers and practitioners based in the UK. Following a long career as a teacher and headteacher in England, John became director of Education 2000, spearheading nine community-wide education projects in the UK. He lectures around the world on new understandings about learning and is the author of several books including Learning Makes Sense (1994) and The Child is Father of the Man: How Humans Learn and Why (1999). Heather McTaggart is the Executive Director of Classroom Connections in Canada.